Out here in Bermuda the natural environment provides a spectacular and challenging race course for both Elite and Age Group athletes. A swim in the crystal clear turquoise Atlantic is followed by a bike leg over steep hills and through city streets. The island has a long history of hosting a diverse range of world class sporting events including marathons, triathlons, open water swimming challenges and the world's most famous sailing regatta, the America's Cup. ONCE YOU'RE “IN TOWN” YOU'LL FEEL THE TRIATHLON FEVER. Hamilton is a vibrant small city with most shops, cafes and restaurants convenient to both the Age Group and Elite transition zones. Front Street, which is most of the run course, often hosts large events, street festivals and parades. If not racing, you can sit outside in any of the cafes, bars and restaurants lining the course to watch the action from street and balcony levels. Walk up Queen Street and you encounter the Age Group transition next to City Hall. The 300m connection from the swim exit will be carpeted in the signature ITU blue carpet. 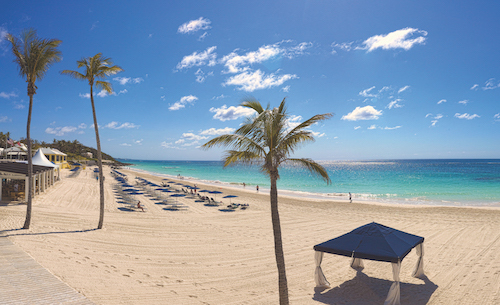 Check out this guide to know what is on in Bermuda.